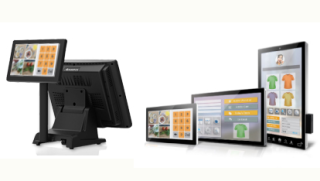 Advantech has enabled its all-in-one touch computers (UTC Series) and point-of-sales terminals (POS Series) to support Windows 10. Windows 10 is used to power a range of IoT devices, from self-service kiosks and POS terminals, to industrial equipment control stations and specialty medical equipment. Designed to connect through Azure IoT Services, Windows 10 offers native connectivity for machine-to-machine and machine-to-cloud scenarios. By capturing, managing, and analyzing data collected by each device, Azure IoT Suite enables businesses to address critical operating issues and streamline automation of operations. The AllJoyn framework for Windows 10 is also designed to enable interoperability among connected devices and across a variety of platforms. Advantech offers diverse Windows 10 IoT-ready platforms in the form of its all-in-one touch computers and POS terminals. Advantech’s intelligent retail solutions provide flexible and scalable customer-centric solutions that influence customer behavior. By supporting the latest Windows 10 applied in IoT operating systems, Advantech aims to provide developers, partners, and customers with more powerful and effective platforms.